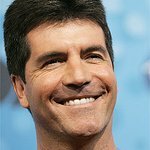 Simon Cowell has donated £50,000 to a fund for those affected by the U.K. riots this week, joining other stars such as Wayne Rooney, Katherine Jenkins, Manchester United manager Alex Ferguson, Dragons Den star Duncan Bannatyne and many others in making financial commitments to reclaiming the streets of Britain. The stars have pledged their support to a campaign established by The Daily Express – Reclaim Our Streets – which has also garnered the support of Prime Minister David Cameron, TV presenter Kirstie Allsopp and television chef Antony Worrall Thompson. “I am the product of not one but two shopkeepers,” said author Frederick Forsyth, who also backs the campaign. "Both mum and dad owned shops. They poured unimaginable amounts of time, trouble, energy and dedication into their businesses so I have massive sympathy for those who have lost so much in the riots. I believe in retribution but more importantly I also believe in restitution. Find out more about the Reclaim Our Streets Crusade here.